Projects are on Gumroad.com/Github for free and if you found these projects useful and you like to support you are welcome. Last edited by Mhousse1247; 02-19-2017, 08:01 PM. How can I adjust the turn rate in the movement component? Last edited by shukenmg; 11-21-2018, 06:36 AM. is this just for player pawns or can the AI use this to walk on walls and such? I think this would set the proper gravity/orientation for AI as well But I'm not sure if their navigation would work.You could test it by using MoveToLocation in your AIController (and giving them a location from your wall. Also does anyone know if there is a LineTrace bug @Standalone server? It works fine if I'm using a Character BP but as soon as I'm switching to the ThirdPersonPawn it only works client side. Update: In case someone has the same problem -I've added a GetAllActorsOfClass node triggered by a EventBeginPlay to my PlanetBlueprint and I'm setting their PlanetBP that way. That said I've added a delay first because as it turns out this usually triggers before the Pawn is spawned/ready. Also since there seem to be no example blueprins - for your controls make sure to use the pawn's native functions (AddForwardMovementInput, AddRightMovementInput) and for your camera rotation AddCameraPitchInput & AddCameraYawInput. I have 2 problems left to solve: 1 for some reason the walk animation seems to be slowed down, and 2 if the sphere is not completely smooth the character seems to jump off/detach at times. Not sure if this would still be a problem on my full scale planet since it will be much larger; but at the same time it will have its own geography as well (hills, cliffs etc). I am trying to set up a third person pawn to walk on planets. I have created a planet blueprint (from the planet actor); gave it a sphere mesh and added it to my level. 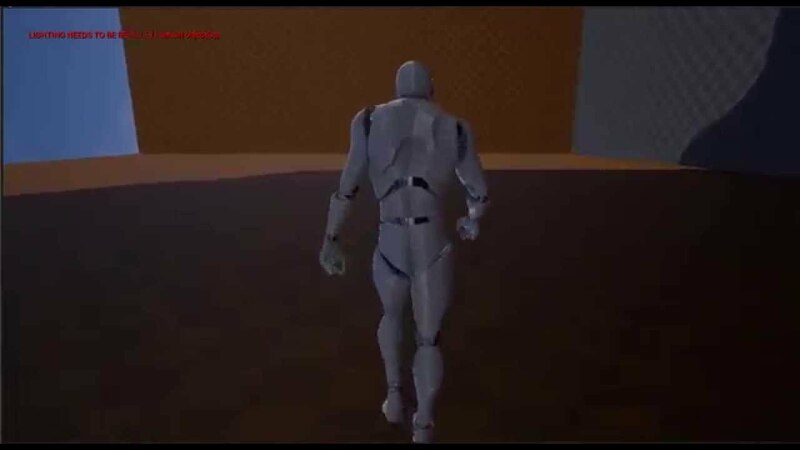 As for the third person pawn -I gave it a model (the default one from Unreal) -and an anim blueprint; used the custom jump nodes and kept the walk forward controls from the example one. 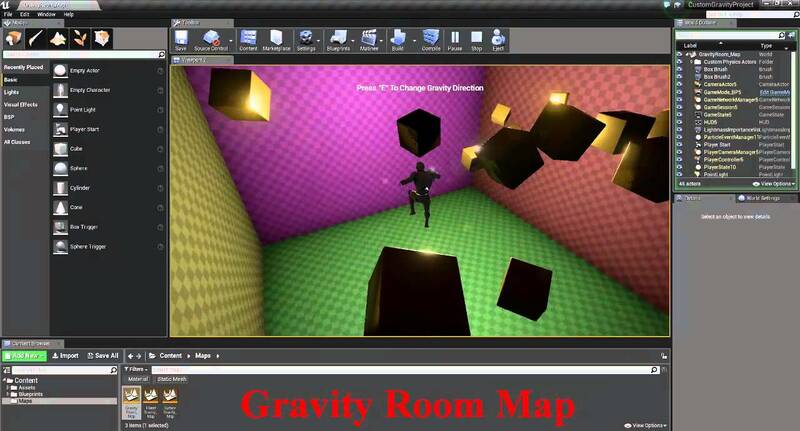 Now in the movement component of the third person pawn there is an option for using PointGravity and a field where you would add a PlanetObject (so that your pawn would know from which point to calculate its gravity); That said I don't seem to be able to set any value in this field (my Planet actor appears in the list but I can't seem to be able to select it; and I get the same result if I pick the one I've already added to my level). If I walk next to it nothing happens. 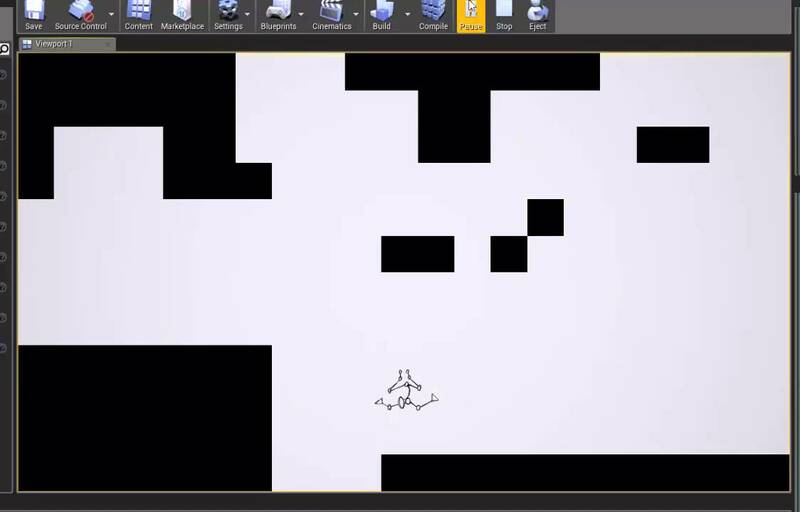 As for my walk animation -it doesn't seem to work either (jump/idle works fine). Perhaps that is because the planet is not set -therefore my pawn has no gravity? Hi -not sure if this is a bug or I'm missing something (perhaps some blueprint examples would be nice) -but I'm trying to set up a third person pawn and even though I chose PointGravity @ the movement component I'm still not able to set a planet (from the scene/level or browser/list). Also the walk animation doesn't seem to work regardless of the gravity mode used (I'm using the default 3rd person controls). does this plugin work for AI characters? where are the directions on how to install this plugin? and how to use it? Last edited by PRESSURE2000; 09-02-2018, 03:01 PM. Hi, some1 found a way to a change the falling speed of a character using the CustomMovementComponent ? i tried to fix these errors. but i still have them. i need to help.